In addition to his academic degrees, Roberto Dell’Oro studied philosophy & theology at the Catholic University of Milan (Italy), and the Hochschule für Philosophie in Munich (Germany). From 1993-1995, he was a post-doctoral fellow in bioethics at the Kennedy Institute of Ethics, Georgetown University -- with the late Edmund Pellegrino, former chair of the President’s Council of Bioethics, as a mentor. In 1995, he became a Senior Scholar at the Center for Clinical Bioethics at Georgetown University, with teaching appointments in the Medical School & the Department of Philosophy. In the fall 2003, Roberto moved to the Department of Theological Studies at LMU, where he is a full professor. 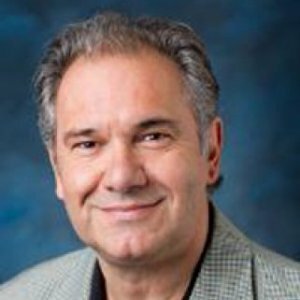 Roberto has held clinical & research appointments in bioethics: from 2003-2006, he served as a clinical bioethicist at St. Francis Medical Center in Lynwood, CA, concentrating especially on ethical issues in obstetrics, perinatology & neonatology; from 2001-2007, he was the medical ethicist for the Data & Safety Monitoring Board at the National Institute of Child Health & Human Development at N.I.H. in Bethesda, Maryland; from 2007-2011, he chaired the bioethics committee at St. John’s Medical Center in Santa Monica, CA. In 2010, he was selected for a sabbatical as Erasmus Mundus Professor of Bioethics at the University of Padua (Italy). Recently he was appointed to another Data & Safety Monitoring Board at N.I.H. In 2014 he became a member of the Theological Commission of the Diocese of Los Angeles. Roberto teaches in the areas of bioethics, fundamental moral theology, & ethical theories, with a special interest in anthropological themes at the crossroad of theology and philosophy. Roberto has lectured internationally in five languages. He is the author/co-author of three books, Health and Human Flourishing: Religion, Moral Anthropology, and Medicine (Washington: Georgetown University Press, 2006), Esperienza morale e persona (Rome: Gregorian University Press, 1996) and History of Bioethics: International Perspectives (San Francisco: International Scholars Publications, 1996). He has translated two books from German, and published in national & international journals. He is currently working on a book tentatively titled Method and Meaning: Hermeneutical Reflections in Bioethics.